D: What triggered the idea of Pokemon Reorchestrated? How did it come about? B: I’d always been obsessed with film scores, especially anything by John Williams or Danny Elfman, and video game soundtracks from an early age. Sometimes I’d even try to imagine what the Pokémon soundtracks would sound like performed by a live orchestra! I think it was back in 2007 or 2008 when I discovered a certain fan music project, Zelda Reorchestrated, run by a few musicians and diehard fans of the Legend of Zelda series. After hearing early previews of their massive Twilight Symphony project (3+ hours of gorgeous orchestral arrangements of music from Twilight Princess) in 2010, I decided to finally try my hand at ‘remastering’ some classic tunes from Pokémon in the same vein! I spent a good year or two experimenting with orchestration and practicing MIDI arranging with highly specialized virtual instruments called ‘sample libraries,’ eventually releasing some of my game covers on YouTube to a very, very small group of subscribers. I don’t think my channel really took off until I released my first version of ‘Trainer Battle’ from Pokémon Red and Blue. It took almost two whole months to arrange, since I was woefully inept at using a DAW (Digital Audio Workstation), but it was well worth the effort when all the subscriber notifications flooded my inbox the next day. It was so thrilling to see that many people connect with my orchestrations! Many of them, like me, grew up playing the Pokémon series, and hearing these fresh takes on the soundtracks brought back a lot of good childhood memories. D: Could you explain the whole technical side of things like I’m 5? What software is used, and how do you make it a real thing for us to listen to?! B: When most people think of orchestral soundtracks, they think of, well, actual live orchestras playing. While I do frequently record with live players on projects (Johto Legends, Double Team! ), there’s also a large synthetic component to my work. As I mentioned before, I have a number of high-quality sample libraries, or collections of sounds sampled from real, live instruments, that basically turn different sections of the orchestra into playable instruments. Using a MIDI keyboard, I can then write and perform all the orchestra parts myself in a MIDI sequencer, which keeps track of all the notes in a sort of digital score, telling the virtual instruments (think of them like robot performers) what to play next in a piece. However, I take great pains in sculpting the MIDI aka the digital score, so my robots’ performances sound as realistic as possible. These instructions include pretty much everything, like how and when to perform certain articulations (bowed, slurred, pizzicato, tremolo, etc. ), dynamics (soft, medium, loud), and vibrato. This is the most time-consuming part of the orchestration process, but a necessary one to keep production costs down. I’m essentially taking on three roles: arranger, conductor, and performer. Recording a live orchestra, or even layering in live musicians, on the other hand, is a lot easier since you can delegate the performance and conducting aspects! But it can also be a very, very expensive process when you start factoring in studio fees, orchestration assistants, conductor’s fee, etc., so it’s important to gauge the commercial viability of a product before booking someone like, oh say, the London Symphony, to record your 60-minute indie game soundtrack. D: If not Pokemon games, what other soundtracks would you like to tackle? B: Oh gosh, I absolutely adore the MOTHER series (or EarthBound as it’s known to many) and would love to arrange some of the fantastic melodies written by composers Hirokazu Tanaka and Shogo Sakai! D: What online creators are you a fan of? B: I follow dozens of awesome artists and musicians on Twitter, it’s so difficult to just name a few…! But if I had to pick my favs at the moment, they’d probably be RawGummy (a prolific Pokémon fan artist), Project Destati (a group of Kingdom Hearts music arrangers with a new anthology album, Darkness, coming out this year), and ROZEN + REVEN (an arranger/songwriter duo who recently released an epic video game album called NieR: Glory to Mankind). D: Johto Legends is just about to be released! How was it making this? How does it feel to have it out in the world after all your hard work? B: It feels pretty incredible. I mean, Kanto Symphony came out over five years ago when I was still getting my feet wet, so to speak! I feel like I’ve evolved (pun intended) so much as a musician since then, and I’m so excited to share my new musical voice with listeners! And for me, the most profound part of producing Johto Legends wasn’t so much getting to orchestrate my favorite Pokémon tunes from Gold and Silver, but rather, having the opportunity to replace a lot of my synthetic instruments with recordings by real, breathing musicians. All 11 of our musicians, from woodwinds to strings, brought this raw passion and emotion to my arrangements that truly elevated them from humble homages to powerful tributes to the first video games I fell in love with. It was a huge labor of love by everyone involved, and we couldn’t be more proud of what we’re putting out into the world. D: Do you have any projects in the pipeline now this one is out there? Hoenn possibly? B: I’ve been taking some small commissions here and there, but not much else is set in stone (a Hoenn album is a strong candidate though). Something I finished a while ago that’s finally being released in March is the soundtrack to a Steam game Bacon Man: An Adventure, which I composed and orchestrated music for! It’s my first indie game title, and I’m pumped for folks to hear some of my original music! D: What’s your favourite Pokemon? B: Charizard, 100%. A warm cuddle buddy, can roast marshmallows over its tail, fly you to school or work, scare away your enemies — what’s not to love? D: I ask everyone these three mini questions: favourite movie, favourite artist/band + what’s your Hogwarts House? B: My favorite movie of all-time is Spirited Away by Hayao Miyazaki/Studio Ghibli. Favorite artist would have to be….John Williams, if we’re going purely by play count on Spotify. As for Hogwarts House, I’m told that I’m a Slytherpuff (Slytherin/Hufflepuff mix). Ambitious, but flighty — it’s a package deal with me, I’d probably be under the Sorting Hat for a while to be honest. A HUGE thank you to Braxton for joining us today. Not only is he an incredibly talented and hardworking man, Brax is one of the kindest you’ll come across. 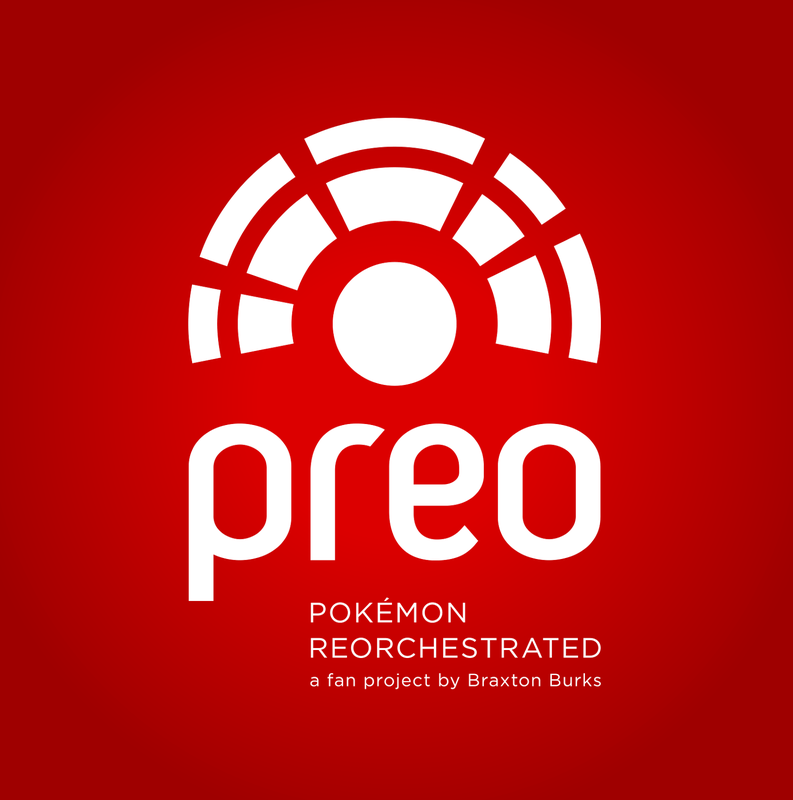 Follow Brax and Pokemon Reorchestrated on Twitter, find out what else is Brax is up to here, like Pokémon Reorchestrated on Facebook here. Make sure to pre-order your copy of Johto Legends right here, it’s mere days until it’s release!